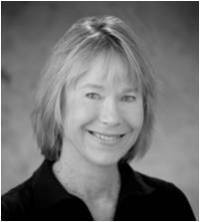 Janet G. Luhmann is a Senior Fellow at the Space Sciences Laboratory, University of California, Berkeley. Her work focuses on the use of spacecraft observations and models to investigate the connections between the Sun and heliospheric conditions, and on the solar wind interactions with the planets. She is currently Principal Investigator for IMPACT, an in-situ experiment consortium providing plasma and field instrumentation for the STEREO mission to study the solar atmosphere and interplanetary space weather.